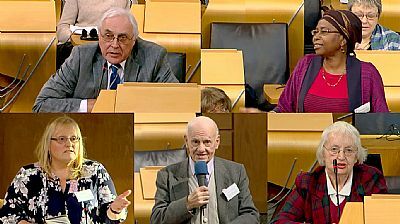 The Scottish Older People's Assembly exists to give a strong voice to older people about their experience of life in Scotland, their challenges and concerns, and to celebrate the positive contribution that older people make to society. SOPA has over 30 membership organisations including community groups, national campaigns and organisations, equality and minority groups and lifelong learning associations along with individual members. 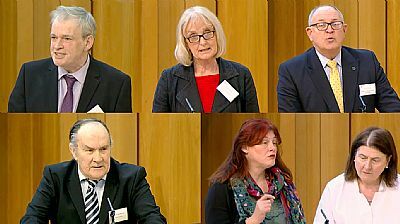 The combined reach of these members is estimated to be 40,000 older people across Scotland, many of whom are affected by ill-health, come from disadvantaged and diverse backgrounds, and who often feel excluded from decision making. SOPA aims to enable and empower members to use their experience and skills to influence policy decisions that affect later life. Members are encouraged to feedback from national groups and forums to their wider networks of older people, creating a powerful network of engagement. Full membership: open to organisations involved in promoting the voice and experience of older people. This category carries voting rights. Associate membership: open to any organisation or individual wishing to support SOPA's aims and activities. This gives the right to attend members’ meetings, but without voting rights. Please complete and sign the membership application form and return it to Caroline Clark. Contact details on the form. 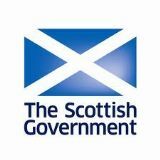 To view the Constitution go to the foot of the Planning Group Page. For up-and-coming events go to News page.